When it comes to beauty shopping for your holidays, there’s so much I like to spoil myself with. I am a real holiday lover – I work hard to afford a good trip and I like to take lots of new make up and skincare products with me, making it the ultimate in treat time and relaxation. It’s the biggest reason you’ll find me in World Duty Free until the last possible minute before the flight! When I’m doing my holiday beauty shopping, there’s the temptation to buy new eyeshadow palettes, cute new brushes and bright coloured lipsticks. I can get carried away with outfit planning to the max and making sure my make up matches perfectly! However, there are some essentials, things I wouldn’t go without and that I highly recommend to everyone who’s making a pit stop at the beauty counter while mooching through the airport. 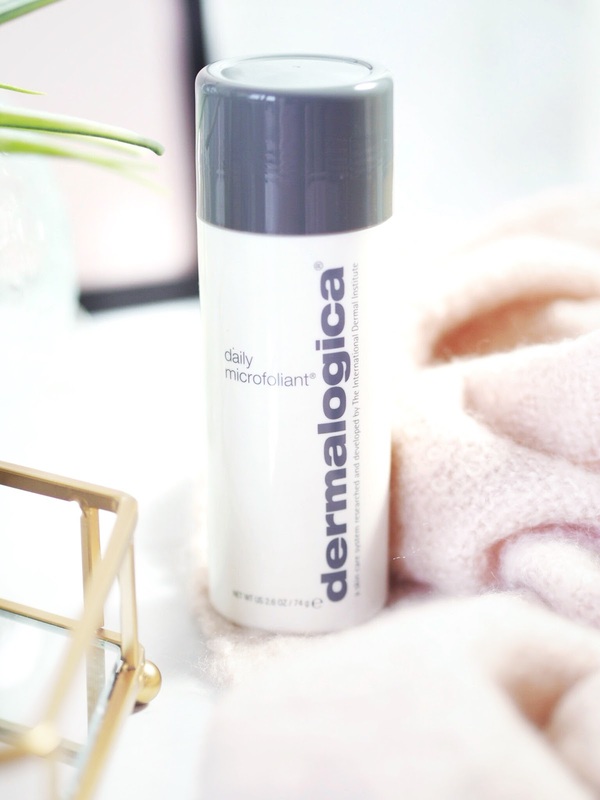 The biggest recommendation I have for this in the skincare area, is the Dermalogica Daily Microfoliant. Known as one of, if not THE biggest cult product from the brand, the Daily Microfoliant is something I’ve gone back to time and time again. For ever a decade. It’s that reliable. 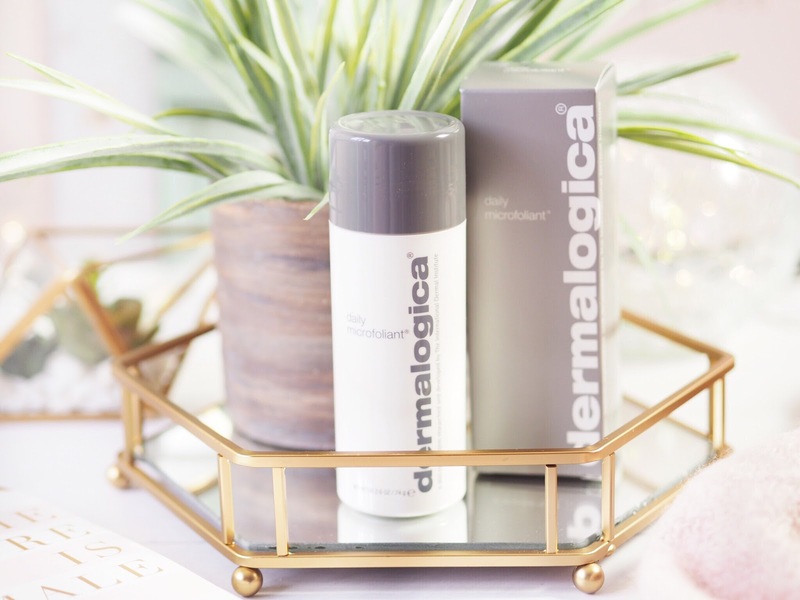 Where other products try and step in, Dermalogica will always be relied upon for performance in the skincare term of things. And this is a staple for beauty shelves both at home, and away. You may not think about taking face masks, or intensive skincare with you when you travel, but actually it’s probably a time you need it more than ever… Think about it: UV and sun damage can occur all day long while you lounge by the pool. The chlorine in the water, the salt in the sea, the difference the water makes…it can all add up to creating some distressed skin – even if it is disguised by a cute tan. 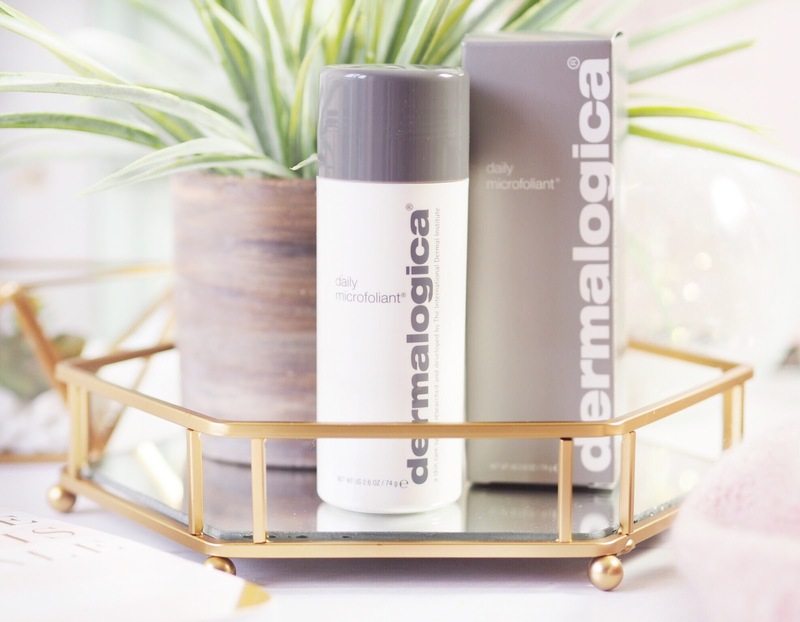 Picking up the Dermalogica Daily Microfoliant means you’re covered for every eventuality. How it works is quite nifty: it’s a daily exfoliating product…in powder format. Made with rice powder, when mixed with water it creates a paste that applies all over the skin. While it’s on, the enzymes work to remove all dirt and dead cells, to create a bright and even tone. Then there’s the oatmeal and green tea which calms the affect effects to make sure there’s no stinging. The exfoliation is that deep, but the calming element balances it out – creating healthy skin that feels good too. I find using this morning and evening when I’m on holiday to be the best method – I don’t wear make-up by the pool, so I wash my face with this first thing and head out for the day. Then when I take my evening shower, I wash with this again to remove build up. I actually find it clears my skin in such an even way that the tan levels on my face are a lot more even. Back at home I tend to stick to this after the holiday too, it’s a great daily facial exfoliator which is gentle to use and high performing enough to give great results. Results so good that I’ve repurchased this time and time again for the last ten years. Grab it from World Duty Free on your travels!